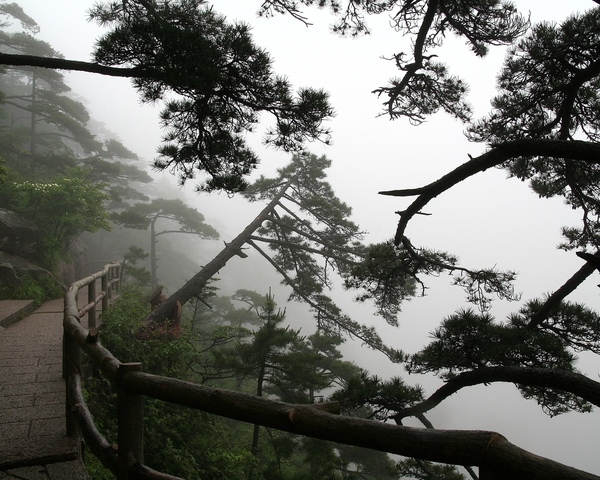 The shot was taken in Huangshan mountains, China. We are inside the cloud and it's raining. The file prepared to be a desktop wallpaper, any comments and ratings are welcome. The perspective on this shot is disarming. Up is indeterminate, despite the fenced path. I almost feel as though the horizon has been replaced by limbo. Very nice.